After the students have been through the entire writing process with one piece of their writing, I put this poster on the board. 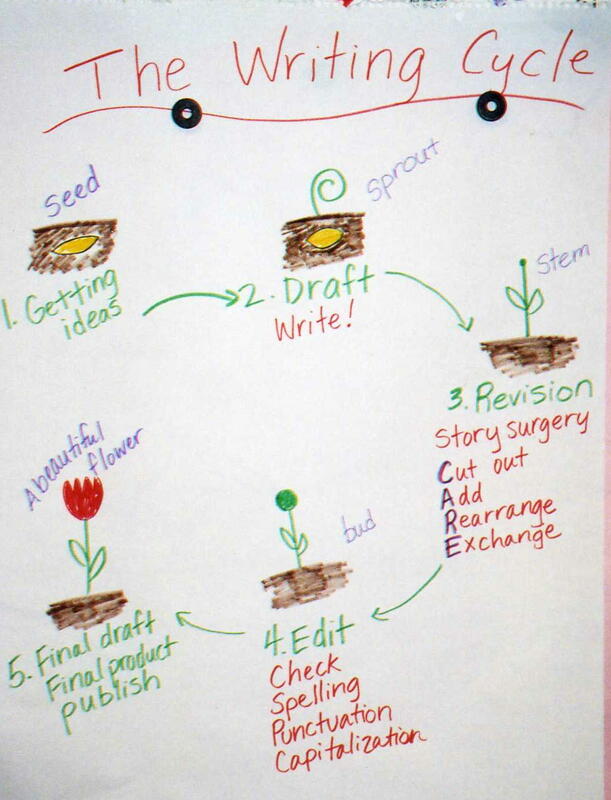 To help the students see writing as a reiterative process, I compare it to the life cycle of a flower. We discuss the various steps that went into creating that first piece of writing. From then on, any time we write, I refer back to the poster to remind students what part of the writing process we’re at. “The Writing Cycle” focuses on each step of the writing process but also reinforces what students have been learning in science.